Blue Water Spa has expanded and we are accepting resumes from medical professionals with experience in Aesthetic Medicine and non-medical staff members with experience working in spa or medical settings. Experience with plastic surgery patients, injectables like Botox and / or aesthetic lasers are a plus. We are adding to our extraordinary team of nurse injectors! We are looking for an experienced Nurse Injector who would report to the Director of Aesthetic Nurse Injectors. Candidate must have a minimum of 3 years’ experience as a nurse injector and be licensed in the state of North Carolina. Ideally, training from a board-certified plastic surgeon with expertise in fat grafting and facial cosmetic surgery. 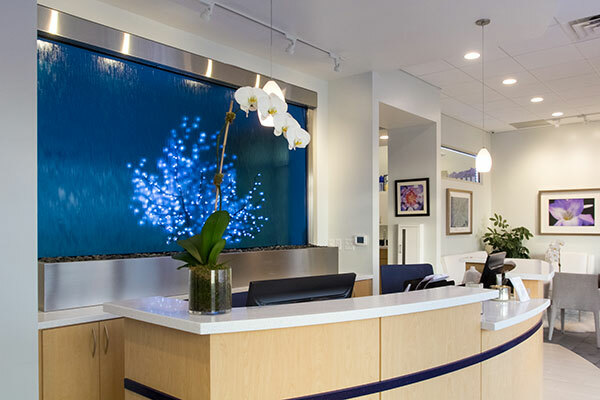 At Blue Water Spa, we maintain the highest standards of safety, patient outcomes, and cleanliness. We use only freshly reconstituted BOTOX, never day old (or older) BOTOX, reconstituted for maximum efficacy. There are no quotas and consultations are complimentary and designed to be informative, not used as sales pitch. Our goal is to make all patients look and feel their best with the minimum amount of product. Intensive in-office training is provided to learn the finesse of facial rejuvenation using Michael Law MD Aesthetic Plastic Surgery protocols that result in natural looking results. Please view our before and after photos. All images used are our own clients, we do not use stock photos as examples of before and after’s. Michael Law MD Aesthetic Plastic Surgery is professionally cleaned every night with all linens professionally cleaned. A certified sterile processing technician manages instrument sterility. Our current Practice Administrator is transitioning into a patient care role, but will be maintaining a role of support with this position. In this role, which will be an addition to and supported by, our current management team, the Practice Manager will oversee Michael Law MD & Blue Water Spa non-clinical activities including; Human Resources, Financial/Accounting, Sales, Marketing, Inventory, and overall Business Management. Manage Department Supervisors and participate as needed in some daily management activities including patient scheduling, staff coverage, training, addressing customer service issues, business processes, etc. Experience equivalent to a BA or BS degree in business administration or health related field. MBA preferred. An in-depth and up-to-date knowledge of the health care environment, including practice management and marketing. This level of knowledge would normally be acquired through 7-10 years’ experience in sales and sales management, medical practice consulting, medical practice administration, medical practice marketing or an equivalent combination of education/experience. Specialized business training completed or ongoing. Proven record of accomplishment in achieving sales, marketing and corporate goals with minimal direct supervision. Outstanding interpersonal skills, with a proven ability to establish and maintain strong relationships with key accounts. Broad business perspective, including sound financial skills, and a solid working knowledge of office operations and systems. Knowledge of fiscal and organizational management, principles and practices of marketing and public relations. The professionals at Blue Water Spa are hardworking, loyal, smart and kind. If you think you have what it takes to work with our team of outstanding professionals, please send a resume with a custom cover letter. In order to show your attention to detail, please include the word Neroli in the subject line of your email. We are looking for happy, smiling faces to join our established front desk team, who will report to our Lead Concierge Staff member. Concierge staff members are the first point of contact for patients entering the spa. A polished, professional image and excellent verbal communication skills are essential. Experience in high-end retail, public relations or the hospitality industry is a plus. The schedule for this position is for Monday thru Saturday with Sunday off. Hours are flexible from 7am-7pm depending on the needs of the business. We are looking for someone who is trained and proficient with Endermology and other body treatments to join our established team of Aestheticians and Massage therapist, who would report to our Lead Aesthetician. Our therapists receive extensive training on aesthetic and medical procedures regularly. Blue Water Spa technicians are able to work with the highest quality technology and products available in order to achieve the most dramatic results for our clients. Our technicians are never “double booked’ and never leave the room during a skin care or body treatment procedure. Our goal is to provide the client or patient the most therapeutic and complete treatment possible. Aestheticians and massage therapists are compensated with an hourly wage or a salary. There are no sales quotas on either treatments or retail products. We feel that quotas might encourage a provider to promote a product or a service an individual really doesn’t need. And, we know that quotas can contribute to a feeling of high pressure for both staff and guests. At Blue Water Spa, we cater to a regular, loyal discerning people looking for the highest quality of care. Blue Water Spa is an immaculately clean and beautiful facility equipped with the finest products and technology available. All linens are professionally laundered and the facility is cleaned by a medical cleaning service every night. Blue Water Spa has a loyal clientele and loyal, long term staff members. Our goal is to build lasting relationships with our clients, and not provide “turn and burn” treatments based on low priced, low value specials or high pressure packages. Our team of medical and aesthetic professionals work together to provide a peaceful, positive environment that means the highest level of care for our clients and job security and camaraderie between our staff members. We go to great lengths to be sure every detail of our spa is just perfect from the fresh flowers, the highest quality products available anywhere and the cleanest most beautiful environment. The Blue Water Spa TEN YEAR CLUB is comprised loyal staff members who have been dedicated, loyal members of our team for ten years or more. At the ten year anniversary of employment, a Louis Vuitton bag is presented. We currently have six members of the Blue Water Spa / Michael Law MD staff in the TEN YEAR CLUB with many more coming up soon! At Blue Water Spa we use only technology proven to be safe and effective in peer-reviewed medical journals. Our facility is busy and people work hard. But we work hard together and support one another. Our staff feels valued and respected. Our hard work and dedication to providing the best service each and every time is the reason 87% of our clients and patients are repeat clients. Blue Water Spa is proud of the tight-knit staff of people who work as a team to provide support to our clients, the community and each other. Our motto is “Save the Drama for your Mama.” Gossip and unkind behavior is not welcome and not tolerated at Blue Water Spa. Our focus is on our clients. We strive to provide the best service and the best experience for each guest each and every time they visit. We have a happy, positive, close knit group who support and encourage each other. Blue Water Spa / Michael Law MD offers a comprehensive benefits package including medical and dental insurance and 401k. Perks include spa services, massage, laser treatments, Botox, etc. and special pricing for friends and family and more. We are closed Sundays and major holidays so staff members can spend time with their families. Blue Water Staff members make a difference in the lives of their clients and in the community each day. As one of the Top Corporate Philanthropists in the Triangle, Blue Water Spa supports more than 300 local charities and non-profits each year. Our donations of more than $175,000 to Boys and Girls Clubs of Wake County have built a library and learning center. In 2013, Blue Water Spa contributed to building of a nursery for homeless infants at the Raleigh Rescue Mission. More than 185,000 lbs of food have been donated by Blue Water Spa to the Interfaith Food Shuttle and Blue Water Spa has planted more than 160,000 trees though a partnership with Trees for the Future. Blue Water Spa was the Inaugural Corporate Sponsor of the BackPack Buddies Program to Feed Hungry Children in Wake County. We encourage you to visit http://www.michaellawmd.com and http://www.bluewaterspa.com to learn more about Dr. Law, his training, talent and philosophy prior to submitting your resume.